When you drive along any road, seeing a car on the opposite lane getting crashed or even ending up with minor dents does make you feel sympathised. Perhaps the worst that could happen to a car owner is totalling his brand new vehicle and sadly here we have such an occasion. 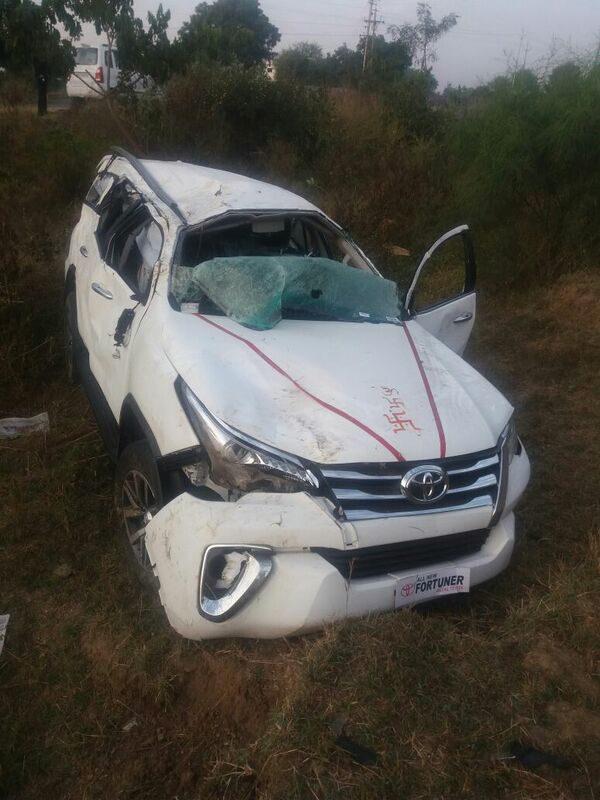 It has been just two weeks since Toyota introduced the new generation Fortuner in our domestic market and we already have two disturbing images of a crashed example. Fresh off the delivery lines, the driver or perhaps the owner wrecked the brand new Toyota Fortuner. There are plenty of things that can be inferred from the accident. Bear in mind, the actual reason or who caused the horrific crash is not known yet and we cannot point the finger on anyone at this stage. However, there is no casualty as far as the report we have been able to gather. As we often used to insist, it is not about the size of the car you drive but how safe you drive it. 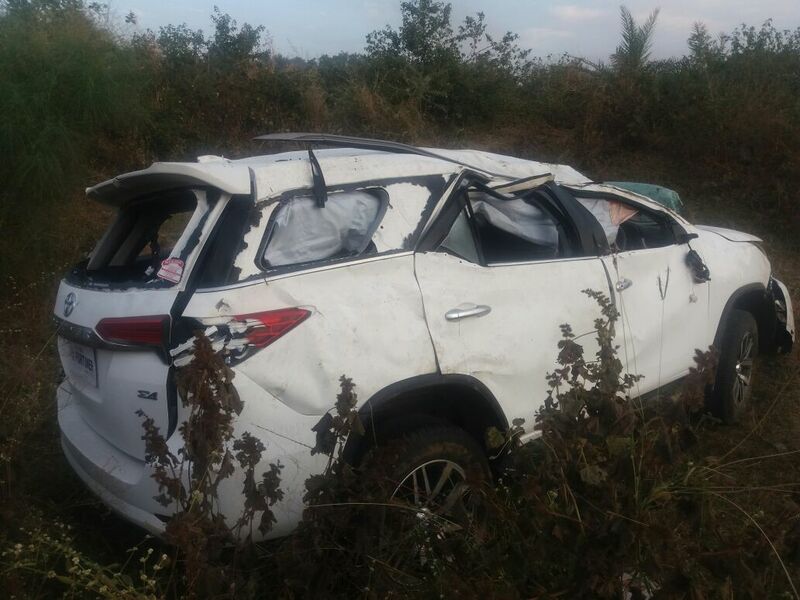 The crashed Fortuner is exemplary to that fact. The number of occupants at the time of impact is not known yet but what can be understood from the pictures is that the people involved in the crash have escaped out of the co-driver-side door. The SUV might have done a few continuous rolls too as can be envisaged from the crumbled pillars and the glass areas. The Toyota Fortuner is loaded with top-notch safety features and as can be seen the side airbags seem to have played big role. Driving the SUVs do require huge responsibility and when you don’t have that accident like this tend to become unavoidable. Modern cars, irrespective of their sizes and preferences, come with improved safety equipment and reliable outer structure. But beyond all that it is in our hands to drive responsibly on roads!